Rich Nilsen, who has absolutely been on fire with his major race selection sheets, is back for both days of this year’s Breeders’ Cup at Del Mar. Included in Nilsen’s report are top selections for all 4 stakes on Friday and all 9 stakes on Saturday (all 13 Breeders’ Cup races). You receive Nilsen’s expert pace analysis, which is often the key to selecting the winner. Nilsen has 3 Spot Plays with wagering strategies to attack these races. He has also included wagering strategies both day’s feature events – the Distaff (Friday) and the Classic (Saturday). 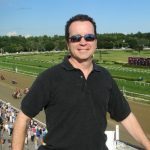 Nilsen has worked the past 25 years in the equine industry, serving most of those years as the Marketing Director for Brisnet.com and TwinSpires.com, the Official Wagering Site of the Kentucky Derby. The $2.8 Million National Handicapping Championship (NHC) is the premier horse racing tournament in the nation. It is basically horse racing’s version of the World Series of Poker, with the main difference being that players cannot buy their way into the NHC. Players can only win their way in via tournaments held throughout the country. Nilsen is one of the top participants in the history of the event, having qualified 13 times. He was the first player, and one of only two, to finish in the top 10 at the NHC twice. 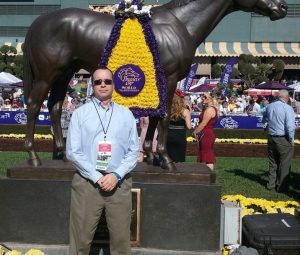 Nilsen is now the founder and editor of AGameofSkill.com, a site devoted to horse racing education and promotion. In this comprehensive yet concise report, I provide selections for all 13 Breeders’ Cup races for both days, as well as pace scenario analysis which is absolutely vital for predicting the outcomes of these events. Trying to pay with valid credit card and you won’t take it. loosing a customer. Hi Jim. We use PayPal, which accepts every major form of credit card. You can do it as a Guest. Thank you for your interest. Rich, I Paid for BC package, it wont down load and now its telling me it has expired. Can you get your publisher to fix this please! I sent you the file. Sorry about that! I tried to purchase the BC card with my credit card, I did not get the package!